Sadly this hot spot is no longer around. But you can still order their products online! The past weekend I went to visit my friends in Zwolle, which is located in the east of the Netherlands. There we took a stroll through the city centre and before we left to go to their home they wanted to show me a candy store where they sell vegan candy. You may not no this, but I’m not a huge candy freak, when given the opportunity I’ll almost always go for the savoury dishes/treats, but there are some exceptions to this rule. Even though I’ve not got a big sweet tooth I still thought it was awesome there was a candy store that had a whole vegan candy section, so of course I had to pay it a visit! 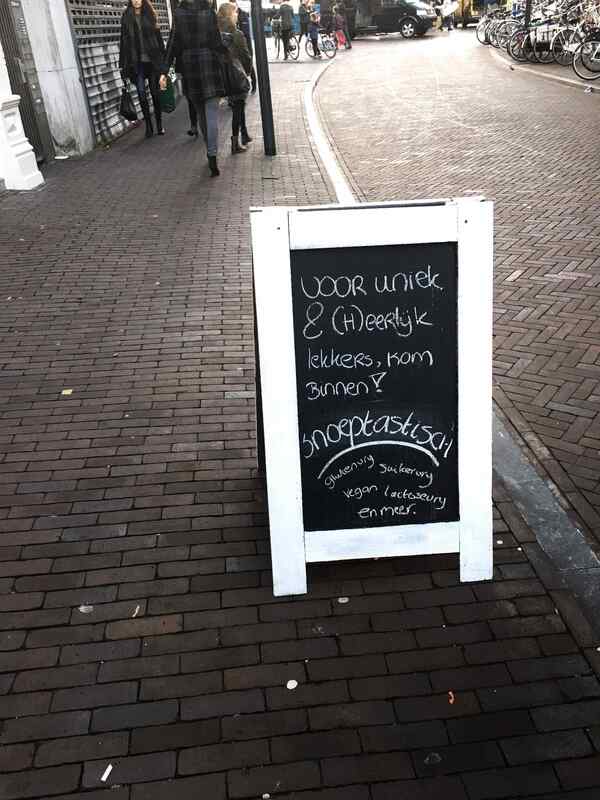 When we first entered the store I noticed that although there was still a lot of non vegan candy, the store did have some interesting vegan products, such as candy, chocolate brownies and fudge, but there was one product that caught my eye, vegan spekkoek. For those familiar with spekkoek and also following a vegan/plant-based lifestyle you might understand my enthusiasm! This was the moment I knew I had to share this with all my dutch followers and those visiting the Netherlands. But of course this post is for everyone, because my main intention for this is to show that following a vegan or plant-based lifestyle doesn’t mean you only get to eat carrots and lettuce. Knowing I was gonna share this I asked the owner of the store if I’d could take some pictures, which sparked a conversation. Well to be honest the fact that my friend told her I’ve got a blog where I’d share it sparked that conversation, something I’d probably never would have brought up on my own, since I’m quite shy around people I don’t know. 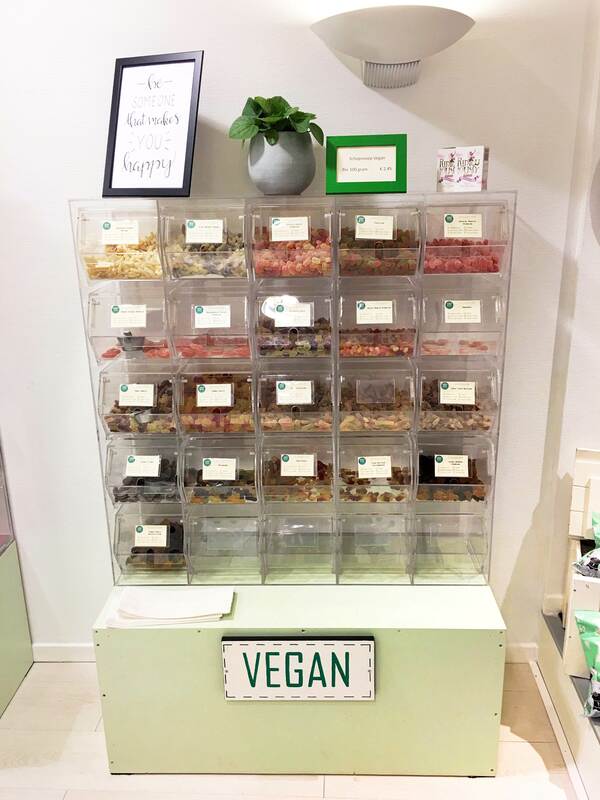 The lady turned out to be vegetarian herself and her main goal for the shop was to make candies that everyone could eat, being very mindful when it comes to allergies and intolerances. My friends for example can’t have any sugar so the owner did the best she could to figure out alternatives with them, she was a real sweetheart. She even made vegan meringues using aquafaba, I tried one and they were delicious! But now let’s get back to the prize winner, the cake! Spekkoek is an Indonesian layer cake spiced with cardamom, ginger, mace, anise and clove and i’t basically butter, eggs and flour and used to be my all time favourite cake. 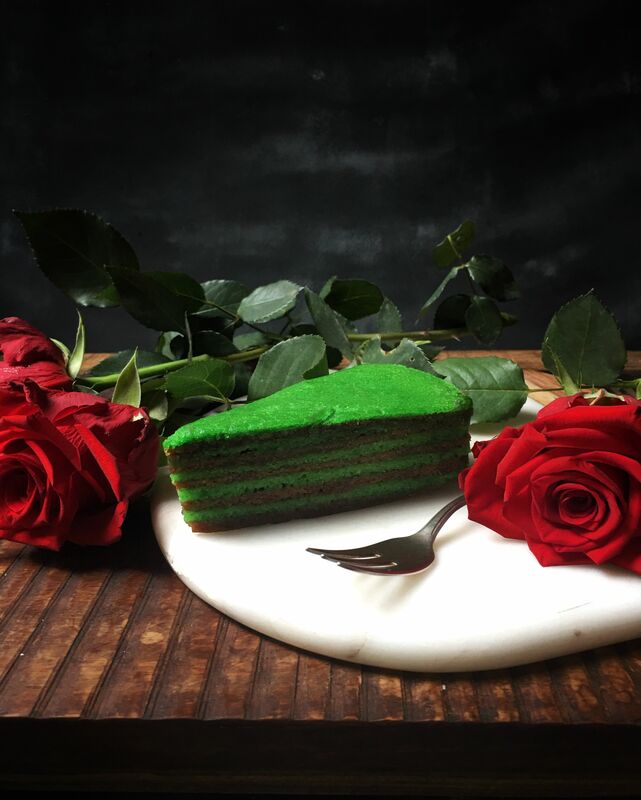 I forgot about it for a while since it’s very difficult to find a vegan version and I was feeling to lazy to make this labor intensive cake myself (might still make a recipe?). It might not be the healthiest food in the world, but sometimes you just have to treat yourselves, and look at those layers! Look, this is one of those exceptions on my savoury rule, this cake will win it over many savoury treats! Also fun fact: I ate the cake today, two days after I bought it and it was still moist and delicious (I stored it in the fridge). It’s not the healthiest food, but it’s fun knowing more and more dishes are being veganised, it always puts a smile on my face. 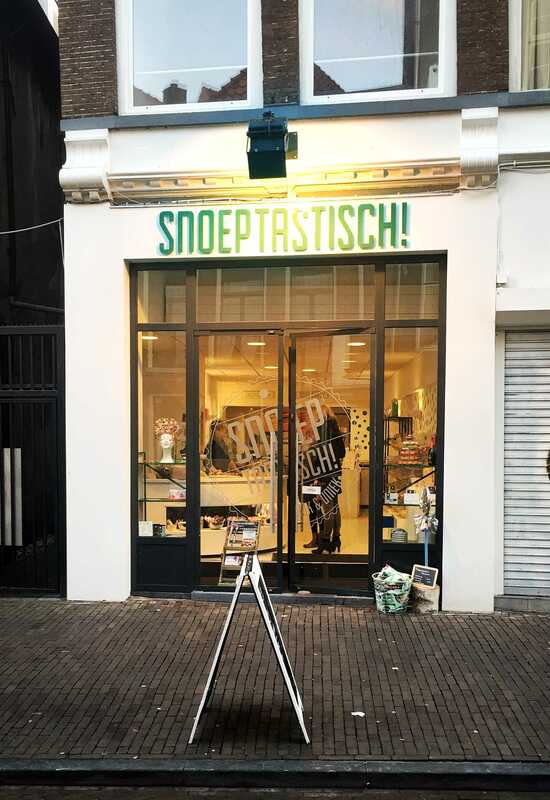 The store is located in the city centre of Zwolle so if you ever find yourself in Zwolle make sure to pay a visit so you too can have a slice of this delicious cake, and maybe some vegan candy if you’ve got a sweet tooth or want to try some vegan candy. Here is a link to their site. I hope you like posts like these, they’re very different from my regular content, but I really think it’s good to show there are vegan alternatives to almost everything, and if I do find something delicious I can’t just keep it to myself right!? I’ll have to share it! Dankjewel liefjes! Ja dat zou heel fijn zijn, misschien moeten we daar maar eens voor zorgen ?